Compliance is costly, complicated and dynamic. Most businesses today are significantly impacted and impeded by compliance costs and risks. 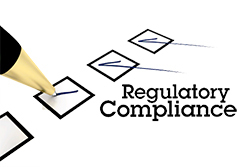 Regulations and standards come from many sources in a variety of levels of detail and mandate: industry regulatory bodies, country, region and local governments, international and best practice standards are the major sources. We know that doing your taxes can be pretty scary. And sometimes your favorite tax software doesn’t make things easier. Fortunately, there are some very basic ideas which can help you understand what taxes are all about. We’ve tried to put together a few items here to help you get a clearer picture.